As the citizenry groan under collapsing social services, stakeholders in the Nigerian project should better bend over backwards to develop its human capital , aside growing the economy, as the road map out of the current mess. This is coming on the heels of the findings by the National Bureau of Statistics (NBS) that more people continue to slip into the poverty bracket over the last three years despite governmentâ€™s implementation of the Economic Recovery and Growth Plan (ERGP). The NBS, for instance, in its latest data, puts the number of jobless Nigerians at 20.9 million in 2018, an uptick of 3.3 million or 19 per cent on the 2017 figure of 17.6 million. This is in tandem with the recent World Bank ranking of Nigeria as 152 out of 157 countries on its first-ever Human Development Index. Also, the Brentwood Institution said Nigeria had overtaken India as the nation with the highest number of extremely poor people. The report showed that about 87 million Nigerians are in extreme poverty, with six of the citizens falling into extreme poverty every minute. This is hardly surprising when one considers the fact that â€œpractically all social sectors, organisations or segments are collapsingâ€, says Mr. Muda Yusuf, the Director General of the Lagos Chamber of Commerce and Industry (LCCI). Speaking recently in Lagos at the 2019 Vanguard Economic Discourse: â€œHuman Development Index Vs Economic Growth; Nigeriaâ€™s Policy Optionsâ€, Adeola, argued that there was need to systematically and comprehensively deal with those evils for the inclusive growth of human capital and economic development to happen in the country. His words: â€œWe need to develop our human capacity first so that we can produce because any country that does not produce cannot grow or develop. â€œNigeriaâ€™s problems cannot be solved by its abundant resources but rather by the quality of its human resources which have what it takes to fix the country and the political will to act decisively and proactively to place it in the right direction. This, of course, cannot be done if human capacity building is relegated. â€œHuman development costs money, so there is no denying that economic growth is important. Without money, you cannot fund healthcare or raise living standards or provide education. â€œIn fact, looking at our current GDP per capita, it is clear for all of us to see that our GDP has to go up for there to be any meaningful change in the fortunes of the population. To that extent, it is possible to say that economic growth is necessary for sustained human and social development. Let us be clear, however, that neither triggers it. You can have consistent GDP growth year-on-year for five years and you still find poverty among the people and poor education among the people. Successful economic policies may not trigger or ensure human development. â€œEconomic growth does not address how the money is spent, what investments are made in people and what disparities exist. If social policy is not targeted and deliberate, human development does not necessarily follow and without human development, sustained economic growth is impossible. How can countries produce in a knowledge economy if the people are uneducated and unhealthy? The answer is simple, they cannot. So, we must produce and we must ensure that our people are taken care of out of this bounty. â€œThis is not a start-up sovereign state, and not a nation in any real sense and deeply plagued by fundamental evils which, if not addressed, will ensure our ruin. â€œThe role of the government is to respond to and create an enabling environment for the needs, challenges and aspirations of its population to be addressed and that is why, if there are barriers to these, taking them down must be the foundation of policy. That is why they are called policy interventions. â€œAs banks, we are today roughly exposed to the energy sector and power sector combined by about 35 percent and those exposures are ones that we donâ€™t see any light at the end of the tunnel, to the extent that they are challenging. The exposures are already impaired in the banksâ€™ books. And if they are impaired in the banksâ€™ books, the problem then becomes how are we going to ramp up energy requirement without headroom within the banks and this is one problem we need to deal with or one thing we need to talk about; what kind of policies to deal with it? 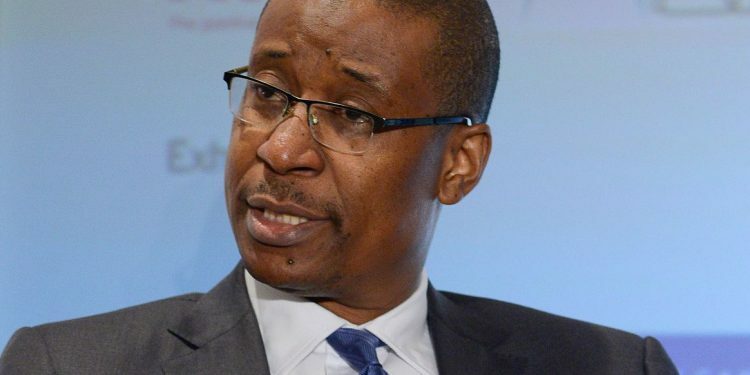 â€œNo matter the kind of policies we want to formulate for energy solution, if the banks are not able to extend more money to that sector, the possibility of growth in that sector is very slim. â€œTo add to the problem is an interesting financial reporting concept which we are just about to implement called the International Financial Reporting Standard ( IFRS) Nine. Strangely, it practically takes out the appetite to carry on extra weight where a particular sector is not performing well. â€œIf we cast our minds back, until the banks step in to begin to deliberately advance funds to certain sectors of the economies, they were in comatose including agriculture. â€œHowever, the reality is that regulation has set the NPL not to be more than five percent. Today, the truth is that on the average, banks in Nigeria are beyond that limit. â€œAs bankers , what we look at is your cash or your ability to borrow or reserves kept with us, or documents or some other means that we can account for. But the elephant, which is a sour point in this country, is the minimum wage. For me I look forward to the minimum wage because it will swell the bankersâ€™ balances, more money will come to the accounts of the customers and so it is interesting. â€œBut the challenge is that it will increase our liquidity, and if it does increase our liquidity, yes there will be more money to spend, but there is one interesting measurement for economic growth and that is money supply measurement. If that goes on, the effect is that there will be inflation. â€œOnce there is inflation, it means that the money that we are hoping that we get, goes through the roof by increased prices and we are just going to lose that money without even getting the benefit of that increase. â€œOf course, the regulators will, almost immediately, find a way to mop that up so that they can keep inflation within parameters that are reasonable. â€œI have to push these two fixes for us to know that, yes there is need for economic growth and human development, but the policies surrounding each of these need to be developed further. â€œPolicies that have direct impact on what is left in my bank account and savings is actually one of the parameters for which we need to develop further in terms of what new things we can bring on board as well as what technology we can invest in, either based on our savings or investment in one way or the other. Yusuf , in reinforcing the fact that close affinity exists between economic development and human capital, stated: â€œIf you look at all the leading economies today, there is a correlation between the size of their economy and the welfare of their citizens. The correlation may not be 100 per cent, but clearly, there is a correlation. â€œIt also underscores the fact that the resources of the state are dwindling by the day and making it difficult for the government to discharge some of its fundamental obligations in the social space, namely issue of education, health and even security. â€œIt is very important that we also deal with the issue of resources. The government today does not have the resources to take proper care of social investment. We have to deal with this in two ways. â€œWe need to deal with the issues of tax and import duty to support the private sectorâ€™s contribution to social investment, in order to grow the capacity of this economy. â€œThis is because this economy needs funds to grow; we need to grow investment because it is from investment that we can grow revenue, it is with revenue that you can develop education, health services, and support security forces. He said: â€œWe need growth in order to achieve development. Let me state a few things; we need to set targets. For example, two per cent of the Chinese population are currently below the poverty line, and the Chinese say in two years even the two percent below poverty line would have been moved above the line of poverty. What is our own target?